A Massachusetts-based recycling facility has found a way to recover 99% – by weight – of a fluorescent lamp. Its next task is to extract rare earth elements (REE). 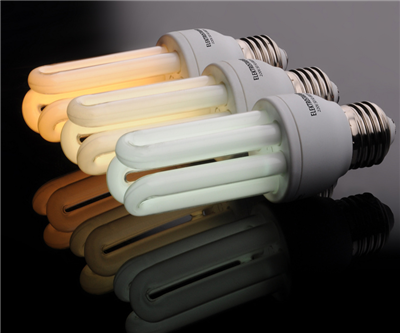 The company behind the technology, Veolia ES Technical Solutions, says it's able to separate most core components of the fluorescent lamp including glass, aluminium and mercury, according to Waste Management World. Now the recycler is working on also reclaiming rare earth elements from the phosphor powder used in the lamp's glass tube. The centre currently processes more than 15 million pounds of lighting and electronic waste each year. The new facility will increase capacity for fluorescent lamps by 150%. Veolia joins a number of companies looking to salvage REE from various products including cars, magnets and batteries. Earlier this year Honda began extracting more than 80% of rare earth materials from nickel-metal hydride batteries. Although rare earths are not particularly rare, they do occur in limited concentrations and are found within minerals which makes them expensive and difficult to extract. Another issue for REE-hungry states is the fact that China supplies 95% of the world's demand. In the new age of 'urban mining' this may change. Earlier this year the US Department of Energy gave $120 million to a research centre in Ames, Iowa which is looking for domestic REE sources. One option, according the Ames Lab website, is to recycle the elements. China is also trying to follow the trend but a crackdown on illegal recycling of REEs may dampen those efforts. Illegal production of the material grew in 2012 and exports jumped by 600% even after the country introduced production quotas.